Middlesbrough boss Tony Pulis is expecting a tough game against Newport in the FA Cup. Middlesbrough boss Tony Pulis isn't taking anything for granted ahead of tonight's FA Cup replay with Newport. The League Two side earned a rematch with Boro after scoring a stoppage-time equaliser at the Riverside last month. But while Boro will go into the game as favourites at Rodney Parade, Pulis is wary of Newport's FA Cup pedigree. After holding Tottenham to a 1-1 draw in last year's competition, Michael Flynn's side beat Premier League Leicester earlier this year. For that reason Pulis is expecting a difficult game. “It’s going to be a tough game,” said the Boro boss. “Spurs and Leicester have gone there and they haven’t won there, and that says everything about the spirit Newport have got in the team, around the stadium and everywhere else. Pulis is likely to make changes for the game following Boro's 3-2 victory over West Brom last time out. 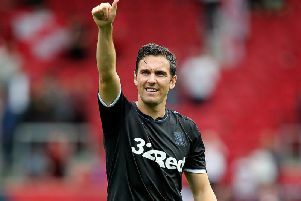 Boro face promotion rivals Leeds on Saturday, before a trip to Sheffield United, who are also flying high in the Championship. But Pulis insists he's taking it one game at a time, despite his side's busy schedule. "Once we finished that game on Saturday against West Brom, it was all hands to the pump thinking about Newport and what we were going to do against Newport," added Pulis. "When we play the Newport game - win or lose - it will be the Leeds game then the Sheffield United game and it goes on, it doesn't stop. You've got to clear your mind and get on with the next one." Meanwhile a new date has been confirmed for Boro's Championship clash with Bristol City. The game will now take place on Tuesday April, 2 (7:45 kick-off) at the Riverside, after the game was postponed due to FA Cup commitments.